Hello! 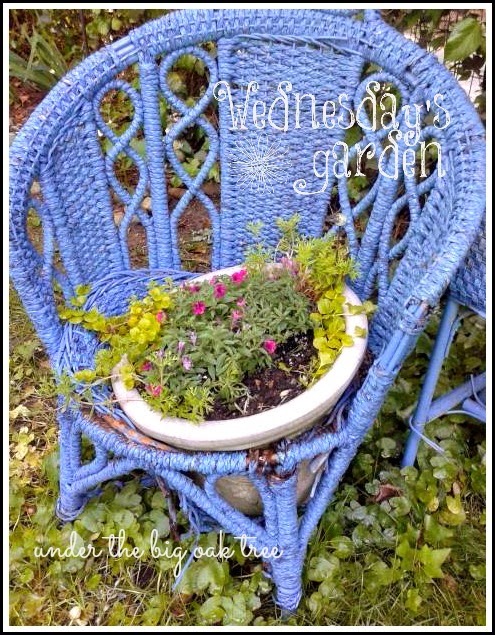 Welcome to Wednesday's Garden ~ a weekly Linky Party for all posts garden related! We're still pretty new and want to thank all of you that have been reading and visiting the garden these past few weeks! Hopefully, as we start to get more into the summer, we'll have many more of you join in each week! I'd also like to thank Garden Matter for sharing their lovely, monochromatic Foraged Centerpiece last week. Stunning in it's natural beauty! I'm a bit late posting on this rainy Wednesday. I was having trouble deciding which photos to share with you this week! Since I couldn't choose, I decided to post several! 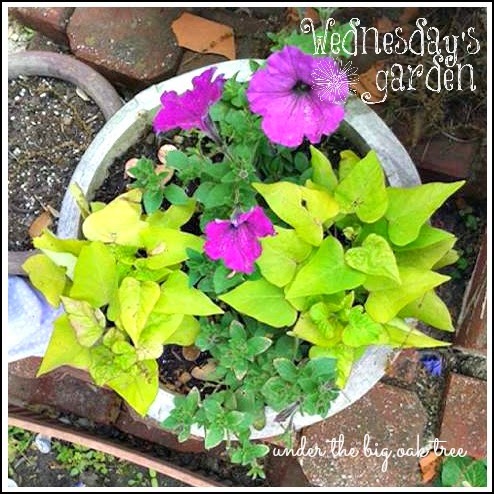 I love that vibrant greenery in this mixed garden pot. 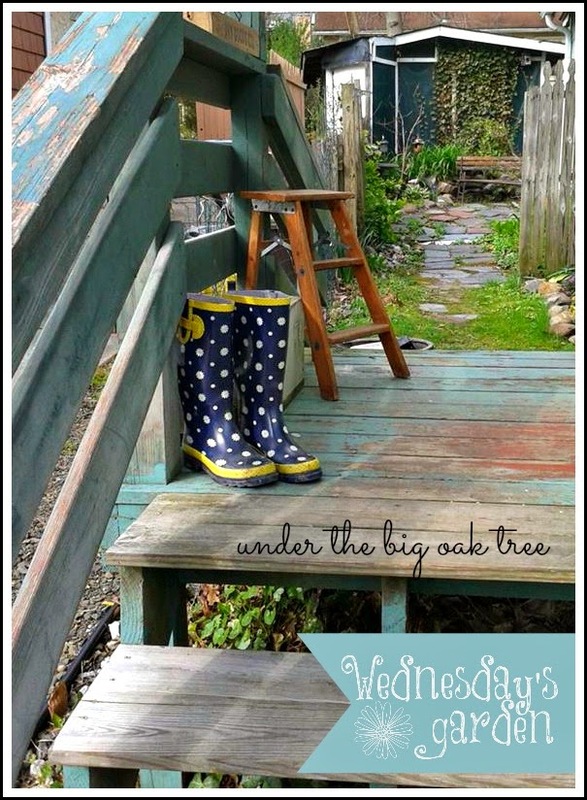 Here is Wednesday's porch. Beyond the porch, you can see the open garden gate. Such an inviting feel to her garden. 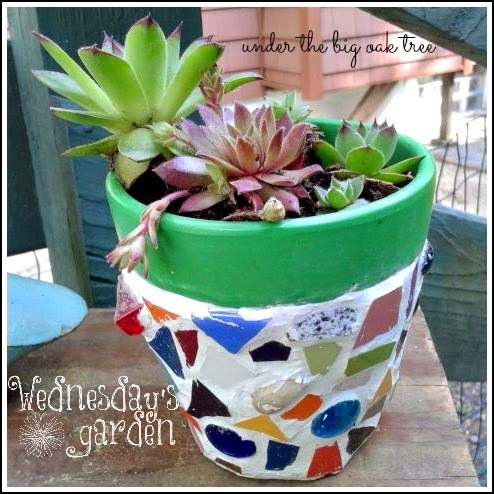 Wednesday and her kids created these adorable mosaic pots! What a great way to recycle some broken pottery or dishes! they don't seem so outdated any longer! These succulents are perfect in this colorful little pot! 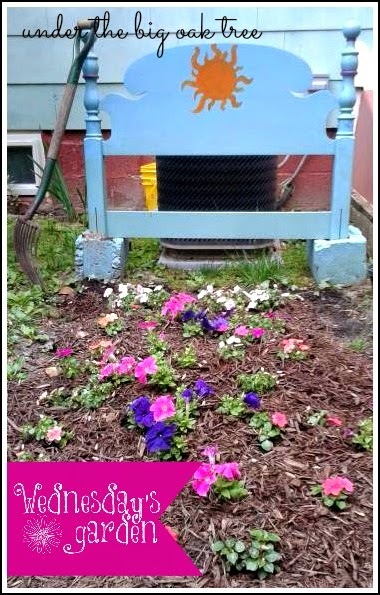 This flower "bed" is a perfect way to hide your central air or even your trash/recycling bins! While this bed is just recently planted, by the end of the summer it should be lush and full of color! 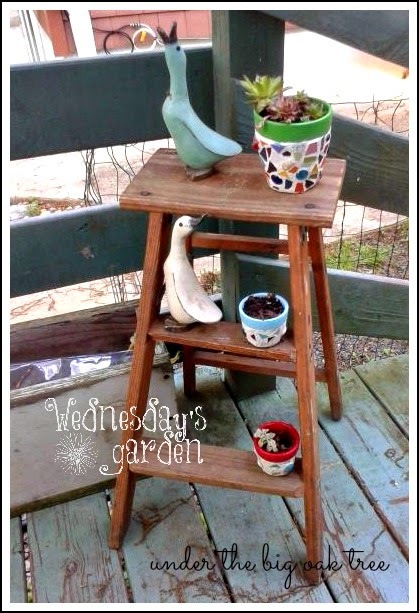 Check out yard sales, second hand shops or even curbside on trash night for inexpensive head/foot boards to create this creative garden! Now this is great! I've seen similar planters created with wooden chairs. Often they require power tools to create a hole for the planter. 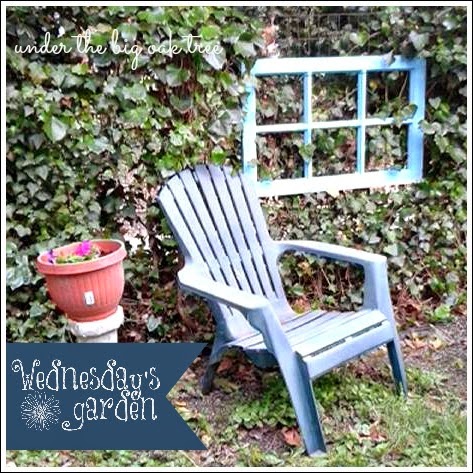 by adding a planter to the rotted out seat! creating a perfect spot to sit and relax after a few hours tending her garden!